"Without going outside you can know the ways of the world. Without looking through the window you can see the way of heaven. The farther you go the less you know. 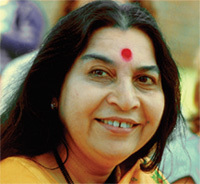 This site contains resouces to help you to establish yourself in Sahaja Yoga. 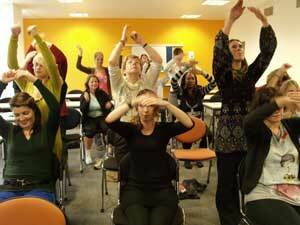 Sahaja yoga is very easy to learn and unlike other types of yoga or meditation, it is always taught free of charge. Let’s face it, the world is in a bit of a mess! But if we as individuals make efforts to make our own lives more joyful, peaceful and meaningful, we can collectively make a difference. A journey of a thousand miles starts with a single step! We wish you all the best in your efforts to learn this incredible, blissful, simple, profound and wonderful thing called "Sahaja Yoga" and hopefully you will pass that joy on to others once you have experienced it yourself. It is not about blind belief or mental concepts but the awakening of a dormant inner joy and inner peace. It is an EXPERIENCE that either you have had or you haven’t. We hope you will take this chance to experience it for yourself. © Copyright Sahaja Yoga and Life Eternal Trust. No reproduction without permission.